Although often associated with the passel of foundations that buttress the American right-wing—including, among others, the Scaife, Castle Rock, and Bradley Foundations—the Smith Richardson Foundation (SRF) donated the vast majority of its nearly $170 million in grants during 1996-2005 to educational institutions and scholarly endeavors. Its two largest grantees during that period were Yale and Harvard, both of which received more than $7 million. However, coming in at a not-so-distant fourth place was the American Enterprise Institute (AEI), a cornerstone think tank of neoconservatism, which received just under $6 million during the period. From 2009 to 2012, AEI received an additional $2.7 million from SRF. 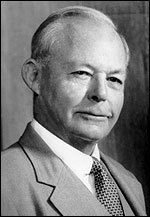 Created in 1935 by H. Smith Richardson, son of medicine entrepreneur Lunsford Richardson, the inventor of Vicks VapoRub, the foundation is managed by members of the Richardson family, whose various drug companies have created a number of well-known products, including Clearasil, Nyquil, and Oil of Olay cream. Together with the Olin and Bradley Foundations, Smith Richardson has been a key supporter of AEI since the 1980s, when the think tank emerged as an influential policy shop. SRF also helped foster the work of early neoconservative figures like Midge Decter, Norman Podhoretz, and Irving Kristol through its support of the various institutions they have been helped lead, including The Public Interest, Commentary, and the Committee on the Present Danger. Today, despite its support for centrist-oriented think tanks like the Brookings Institution and the Carnegie Endowment, the foundation remains a major financier of neoconservatism, funding several other organizations frequently associated with that political faction, including Freedom House, the Hudson Institute, the Hoover Institution, the Foreign Policy Research Institute, the Jamestown Foundation, the Institute for the Study of War, and the Manhattan Institute. SRF’s Board of Governors also includes numerous high-profile hawkish figures like former General Jack Keane, former CIA Director James Woolsey, and former George W. Bush administration official and Foundation for Defense of Democracies board member Paula Dobriansky. Leslie Lenkowsky, SRF's director of research in the early 1980s who later served as head of the Corporation for National and Community Service in the George W. Bush administration, once said of the foundation’s work: "We don't create ideas, we nurture them, a bit like fertilizer. … If the sprout is there, we make it grow into a mighty oak." In particular, Lenkowsky thought that Podhoretz's and Kristol's ideas would "have a long-term impact" on how people thought about public affairs. Building on this support, Kristol helped convince Smith Richardson to back Jude Wanniski's research on supply side economics. Wanniski's publications served as a guide for Ronald Reagan's economic policies when Jack Kemp, convinced of the theory's merits by Kristol, brought it to Reagan's attention. Lenkowsky also oversaw SRF's efforts to fund college newspapers, including The Dartmouth Review, where a young Dinesh D'Souza got his start. As editor-in-chief, D'Souza used the newspaper to out homosexual students by investigating subscribers, including their parents. Files from the university's Gay Student Alliance, apparently stolen, appeared in the paper, some of which contained "names and parts of letters written by lonely students." D'Souza went on to be a key crusader against the so-called liberal bias in universities, beginning with his book Illiberal Education. SRF joined with other conservative foundations to fund much of this work. Devon Gaffney Cross succeeded Lenkowsky as SRF's director of research, serving two years in that post during the mid-1980s. Gaffney Cross, the sister of Reagan-era defense official Frank Gaffney Jr.—head of the hawkish Center for Security Policy—has also served as a director of the neoconservative advocacy group the Project for the New American Century and worked as an advisor to the Lincoln Group, the controversial "strategic communication management" firm that was awarded a Pentagon contract to work in Iraq in 2004, "after military officials concluded that the United States was failing to win over Muslim public opinion." In 1981, SRF provided seed money for the Friends of the Democratic Center in Central America (Prodemca), a hardline group involved in implementing U.S. foreign policy in Central America. In 1986, a member of Prodemca's executive committee, Penn Kemble, an early neoconservative trailblazer, told the Washington Post that the National Endowment for Democracy (NED), another SRF grant recipient, had given his group $400,000. According to Sidney Blumenthal, Prodemca had been "funneling most of the money to opponents of the Sandinista government in Nicaragua." Prodemca spokespersons denied using NED-supplied monies to secure newspaper ads supporting U.S. funding for the Contras. Also in the early 1980s, Smith Richardson teamed up with other conservative foundations to support the Capital Legal Foundation, which in 1984 was involved in defending Gen. William Westmoreland in his suit against CBS for a documentary made about his Vietnam years. The lawsuit turned political when Westmoreland's lawyers complained that the law firm CBS employed was creating an unequal playing field in the courtroom. CBS lawyers countered that conservative philanthropies such as Scaife (the largest backer), Olin, and Smith Richardson were "using the general to advance their own objectives: to legitimize the Vietnam War, intimidate the media, and lower the legal obstacles to libel judgments." In 2000, SRF provided startup funds to the Dui Hua Foundation, an International Republican Institute-sponsored organization that addresses issues concerning Chinese political prisoners. Also regarding China, SRF sponsored a RAND study that analyzed hypothetical scenarios were the United States to defend Taiwan against a Chinese attack. SRF has also been a major backer of controversial domestic policy programs and causes. It supported the Center for Individual Rights (CIR), which has litigated free speech cases and advocated against "political correctness" codes—most notably by defending professors accused of sexually harassing students. Said CIR's director of research, Robert R. Detlefsen: "Many of our clients would be white male college professors because these are the folks who find themselves victimized by political correctness." The foundation supported the American Enterprise Institute-Brookings Joint Center for Regulatory Studies, a research initiative created to assess the business impact of environmental regulations, which in 2001 was given the dubious distinction of being named the Clean Air Villain of the Month by the Clean Air Trust. Described as a "polluter friendly" organization, the trust accused the center of trying to associate smog cleanup operations with higher cases of skin cancer among the population. Then-AEI president Christopher DeMuth was a contributing analyst to the project; Robert W. Crandall and Clifford Winston represented Brookings. In November 2003, Connecticut Attorney General Richard Blumenthal opened an investigation into the funding practices of Smith Richardson and the Beinecke Foundation—both based in Connecticut. The Boston Globe reported that SRF's top executives—Peter Richardson, Marin Strmecki, and Robert L. Coble—had their vehicles paid for by the foundation. Richardson, whose annual salary at the time was $364,000, drove a $63,000 Audi A8 luxury sedan, while the other two, whose annual salaries were $225,000, owned an Audi station wagon and Jeep Cherokee, respectively, which each cost roughly $36,000. Reported the Boston Globe: "In an interview, Richardson said he could not recall how the cars were approved by the foundation, which funds public policy research. Of his Audi, Richardson said, "I wanted to get a safe sedan." Smith Richardson also spent $6,700 for a portrait of a family benefactor, $2,600 on a chair, and bought four lamps at $1,300 a piece." Mediatransparency.com, "Smith Richardson Foundation Grant Recipients,"http://web.archive.org/web/20090224000825/http://mediatransparency.org/recipientsoffunder.php?funderID=6. Conservative Transparency, “Smith Richardson Foundation,” http://conservativetransparency.org/donor/smith-richardson-foundation/. Dana Canedy, "H. S. Richardson, 79, Dies; Heir to Vicks Cold Remedies,' New York Times, July 31, 1999,http://www.nytimes.com/1999/07/31/business/h-s-richardson-79-dies-heir-to-vicks-cold-remedies.html. Smith Richardson Foundation, “Our Mission,” https://www.srf.org/our-mission/. See Irving Kristol's comment on the importance of Olin and Bradley to AEI, in Irving Kristol, Neoconservatism: The Autobiography of an In Idea, Free Press, 1995, page 33. Bernard Weinraub, "Institute Plays Key Role in Shaping Reagan Programs," The New York Times, January 14, 1981,http://www.nytimes.com/1981/01/15/us/institute-plays-key-role-in-shaping-reagan-programs.html. Bernard Weinraub, "Foundations Assist Conservative Cause," The New York Times, January 19, 1981,http://www.nytimes.com/1981/01/20/us/Foundations-assist-conservative-cause.html. Kathleen Teltsch, "400 Intellectuals Form 'Struggle for Freedom' Unit," The New York Times, February 19, 1981,http://www.nytimes.com/1981/02/19/world/400-intellectuals-form-struggle-for-freedom-unit.html. Foundation Center, Smith Richardson Foundation 990 IRS Form, 2007,http://dynamodata.fdncenter.org//990pf_pdf_archive/560/560611550/560611550_200712_990PF.pdf. [9Foundation Center, Smith Richardson Foundation 990 IRS Form,http://dynamodata.fdncenter.org//990pf_pdf_archive/560/560611550/560611550_200712_990PF.pdf; Conservative Transparency, “Smith Richardson Foundation,” http://conservativetransparency.org/donor/smith-richardson-foundation/. Smith Richardson Foundation, “Leadership,” https://www.srf.org/trustees/. David Shribman, "Washington Talk; Neoconservatives and Reagan: Uneasy Coalition," The New York Times, September 27, 1981, http://www.nytimes.com/1981/09/28/us/washington-talk-neoconservatives-and-reagan-uneasy-coalition.html. Jeff Gerth and Scott Shane, "U.S. Is Said to Pay to Plant Articles in Iraq Papers," The New York Times, December 1, 2005,http://www.nytimes.com/2005/12/01/politics/01propaganda.html?pagewanted=all. Sidney Blumenthal, "Grantee of U.S. Endowment Funds Sandinista Opponents; Group's Advertisements Urge Aid for Rebels," The Washington Post, March 19, 1986. David Margolick, "Westmoreland V. CBS: Legal Drama Intensified by 2 Contrasting Lawyers," The New York Times, May 31, 1984, http://www.nytimes.com/1984/05/31/nyregion/westmoreland-v-cbs-legal-drama-intensified-by-2-contrasting-lawyers.html. George Lardner Jr., "Pittsburgh Millionaire Financed Westmoreland's Suit against CBS, February 28, 1985,http://www.apnewsarchive.com/1985/Pittsburgh-Millionaire-Finances-Bulk-of-Westmoreland-Defense-Against-CBS/id-fcb54a60c185cad094706be468238ea5. Scaife, of New Right Causes, Paid Much of $3 Million Tab," The Washington Post, February 28, 1985. Julie Chao, "China Invites Activist to Discuss Prisoners," The Atlanta Journal and Constitution, May 1, 2000. Ching Cheong, "U.S. Think Tank Tests Out War Scenarios," The Straits Times (Singapore), December 1, 2000. Nadia Schadlow, “War, As We Like it,” The Weekly Standard, January 6, 2012, http://www.weeklystandard.com/author/nadia-schadlow. James Andrews, "Conservative Law Groups Adopt Liberals' Model," Christian Science Monitor, October 3, 1994,http://www.csmonitor.com/1994/1003/03131.html. Davidson Goldin, "Law Center Wages a Fight against Political Correctness," The New York Times, August 13, 1995,http://www.nytimes.com/1995/08/13/us/law-center-wages-a-fight-against-political-correctness.html. Francie Latour and Beth Healy, "AG In Conn. Begins Probe: 2 Foundations for Charities are Eyed," The Boston Globe, November 11, 2003, http://www.boston.com/news/local/connecticut/articles/2003/11/11/ag_in_conn_begins_probe/?page=full. Francie Latour, "Spotlight Report / Charity Begins At Home; Costly Furnishings Come at Charities' Expense," The Boston Globe, November 9, 2003, http://www.boston.com/news/nation/articles/2003/11/09/costly_furnishings_come_at_charities_expense/?page=full.